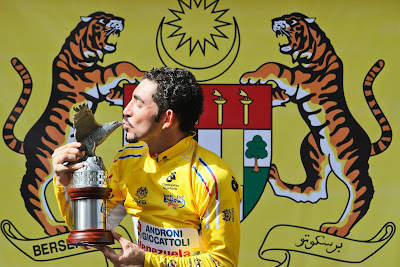 4th March 2012, KUALA TERENGGANU - Needing simply finish safely in the main bunch to ensure his overall victory in the race, the Colombian rider José Serpa today did that, lifting the final trophy for the second time since 2009. 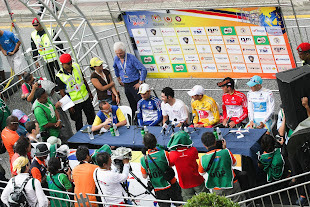 The Androni Giocattoli – Venezuela rider rolled across the line with his arms in the air, savouring a success that was forged through stage victories on day five to Pandan Indah and day six to Genting Highlands. 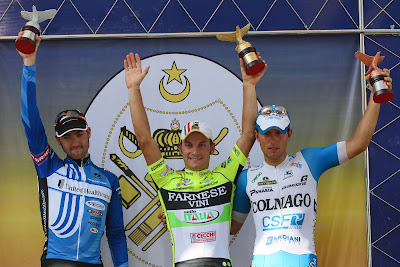 Serpa finished in the main bunch behind the stage winner Andrea Guardini (Farnese Vini – Selle Italia), and ended the ten day race thirty seconds clear of his Androni Giocattoli – Venezuela team-mate Jose Rujano, who won the race in 2010. Niño Victor Corredor (Azad University Iran) was one minute and three seconds back in third, while fourth-placed Alexandr Dyachenko was best Asian rider and helped his Astana squad to best Asian team. The victory is the latest in a number of successes by a team managed by Gianni Savio. The Italian’s riders have won six times in all, and have become part of the race. 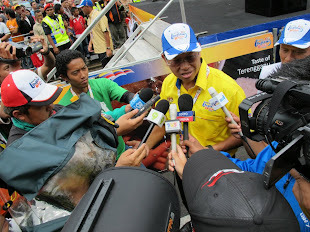 They peak specifically for the event, racing and training in South America in order to be fully ready. 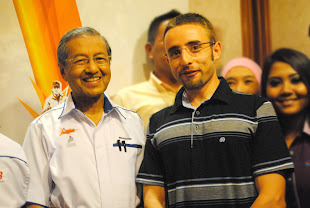 Like the Androni Giocattoli riders, Andrea Guardini also prepared for Malaysia by racing elsewhere. 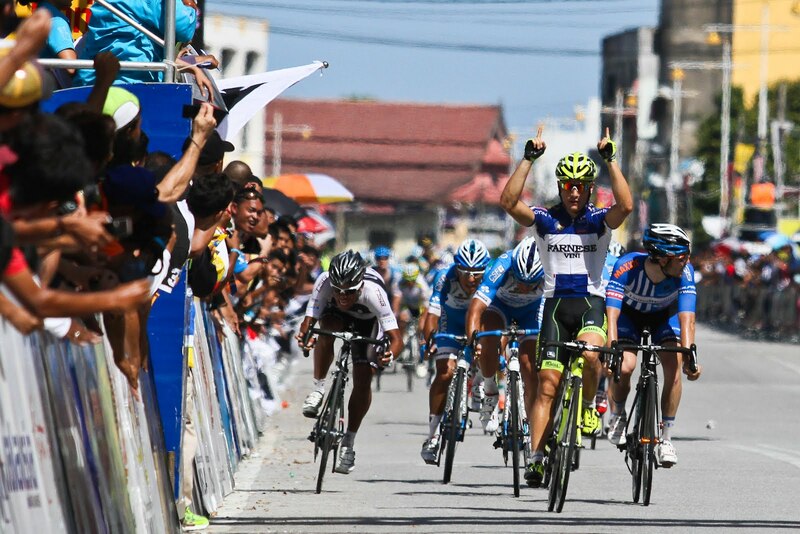 After riding well but missing out on wins in the Tour de San Luis, Tour of Qatar and Tour of Oman, things really clicked for him in the Malaysian race. He took a record haul of eleven career stage victories, two more than the previous mark set by the Australian Graeme Brown. Guardini’s Farnese Vini – Selle Italia team rode well for their leader, hauling back the day’s breakaways in order to ensure a big gallop. Astana captain Alexandre Vinokourov tried to clip away for the stage, but was reeled in before the final sprint. 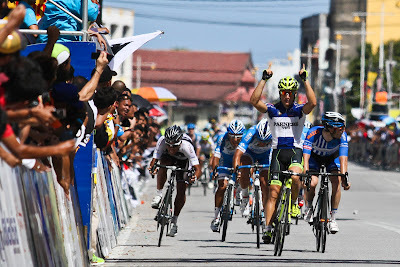 There, Guardini beat Jacobe Keough (United Healthcare), Sonny Colbrelli (Colnago CSF Inox) plus the others to the line in Kuala Terengganu, also the finishing location for yesterday’s ninth stage. 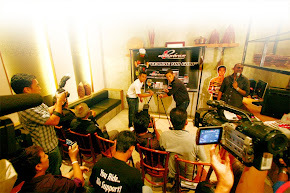 Like last year, when he took his first professional wins in Malaysia, the race has been a big boost to his confidence. 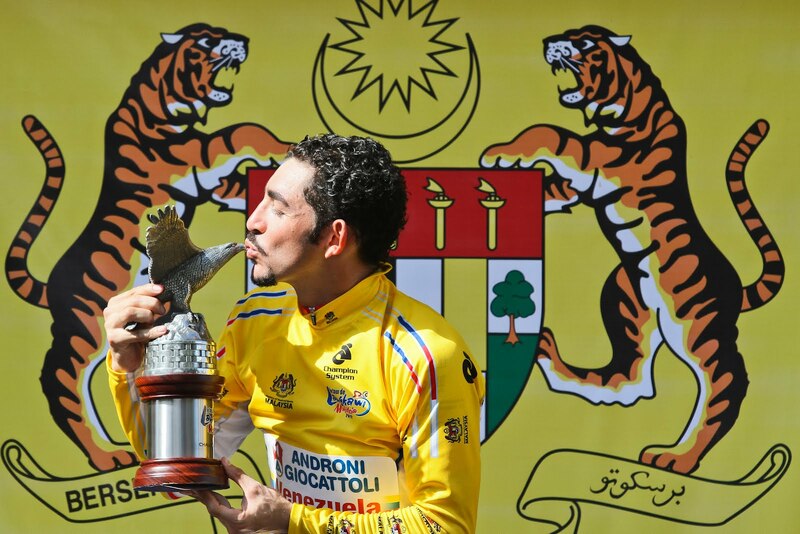 “It is incredible to have won so much, as before the Tour de Langkawi I didn’t win in San Luis, Qatar or Oman,” he said, referring to his previous races in 2012. “That was partly because of bad luck and partly because I had very strong opponents in the sprint. The triumph ensured that he won the blue points jersey, moving well clear of closest rival Valentin Iglinskiy with his successful finishing sprint. “It has been a very difficult day. 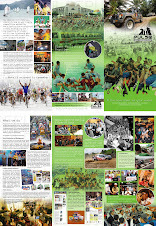 We understood from the first kilometre that we would be the only team to have the responsibility for the race,” he said, explaining the work his squad did. “We kept the breakaway in sight. My four helpers have done such a great job that I want to name all of them; Balloni, Rabottini, Bertolini and Benenati. 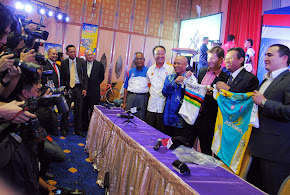 119 riders signed on for the final stage of the 2012 Tour de Langkawi, a 114.8 kilometre race from Tasik Kenyir to Kuala Terengganu. The weather was far sunnier and warmer than recent days, creating an at-times sweltering temperature. 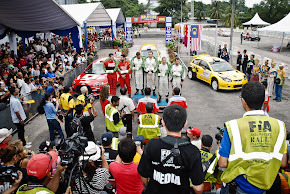 There was a relaxed atmosphere at the start and when Misbah M. Rauf Nur (Malaysia) and Joon Yong Seo (Seoul) attacked right away, they were given some leeway. 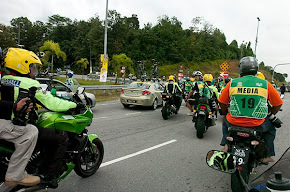 The duo had a gap of one minute six seconds after seven kilometres; eleven kilometres later, they were a full four minutes 18 seconds ahead of the bunch, with two riders – Shinichi Fukushima (Terengganu Cycling Team) and Sea Keong Loh (OCBC Singapore) - one minute behind and closing up. The junction was made soon afterwards and with four riders out front, they set about building a strong lead. The gap was four minutes 25 seconds 33 kilometres after the start. 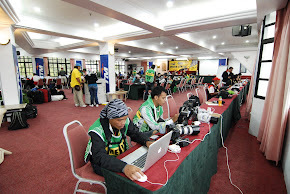 This had fallen somewhat to three minutes 45 seconds at the first intermediate sprint, Padang Air (km 47.4), where Seo, Rauf, Loh and Fukushima crossed the line in that order. Looking to help its rider take another stage, Guardini’s Farnese Vini – Selle Italia squad drove the pace in order to reduce the gap. It had the desired effect; by the time the break crossed the finish line for the first time, the leaders were less than two minutes ahead. Two intermediate sprints followed, with the first coming on the second passage of the finish line and going to Fukushima. 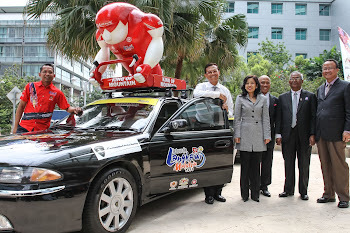 The second occurred to two laps later and there Loh was first. The bunch was closing up fast and Fukushima plus Joon Yong Seo pushed on ahead in a bid to stay clear. Behind, Vinokourov attacked and got across to Seo; his Astana team-mate Dmitriy Gruzdev and Roman Van Uden (New Zealand) were also present and the four tried to hold off the chasers. Unhappy with the pace-setting, Vinokuorov attacked alone and was clear heading in the final three kilometres. However he was caught very soon afterwards, making a bunch sprint inevitable. There Guardini showed his class once again, hitting the front inside the final 200 metres and reaching the line comfortably ahead of Keough and Colbrelli. His success earned him the blue points jersey. Serpa took the mountains classification and his Androni Giocattoli – Venezuela squad was best team. Asian category prizes went to Dyachenko (best rider) and Astana (best squad).